I love the opportunity to fix old or broken things. 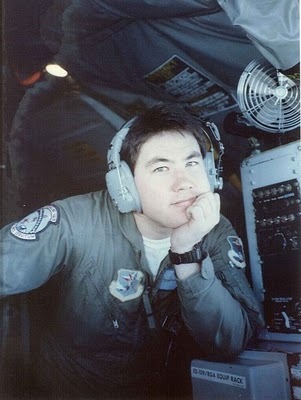 That opportunity presented itself when I notice a friend's blog photo of himself in the US Air Force that was taken years ago. It was worse for the ware. I downloaded the photo and quickly brought it into photoshop. In Adobe camera RAW I dropped the exposure and warmed up the picture using the color temperature slider. Once in photoshop I used Nik's define 2.0 noise reduction to smooth out the background. Then I applied an S curve on an adjustment layer to increase contrast. I finished up with some localized sharpening in the eyes, mouth, etc. Below are the before and after photos. You can visit his blog by clicking here. I think the final result was good and helped tell his story.